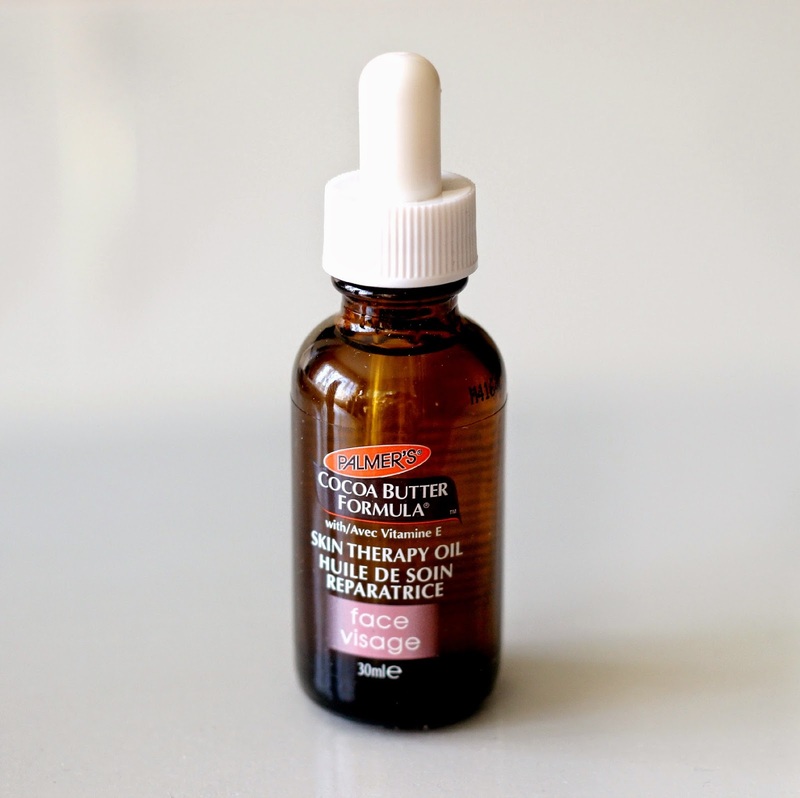 If you have been following my blog for a while, you know how much of a fan I am of facial oils. I remember being extremely hesitant to use them at first as I have combination skin and feared they would make my face even oilier. After doing some research and discovering their benefits, I finally took the plunge, and have never looked back! 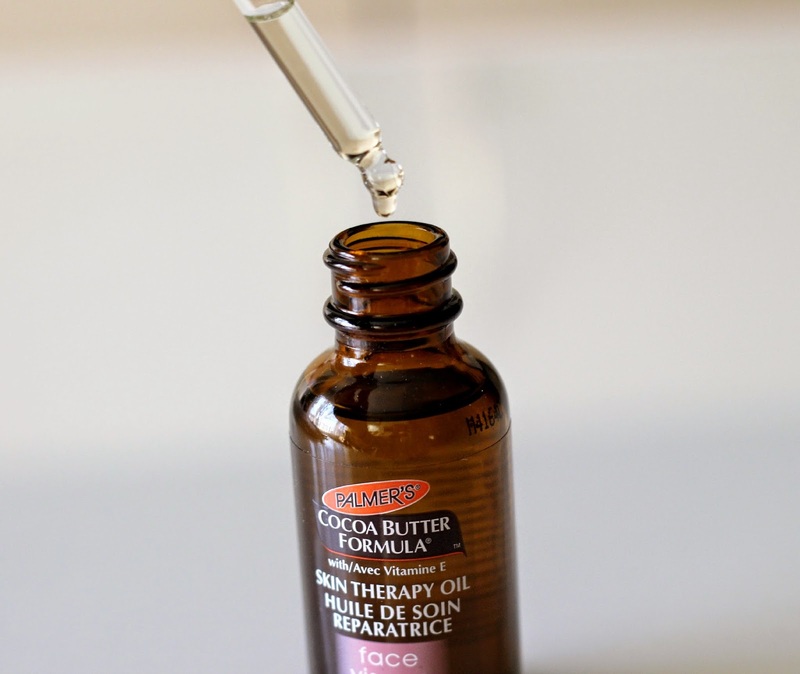 I'm excited to share a new product in my routine that has been really helping soothe my skin which is one the drier side now that the cold has settled, and that is Palmer's Cocoa Butter Formula Skin Therapy Oil FACE*. Best part? Five readers will win one for themselves - so keep reading to find out how to enter! I discovered Palmer's Cocoa Butter Formula earlier this year (more on that here), and this was my first time trying one of their facial products. Skin Therapy Oil FACE is made with a combination of ten natural oils: sesame, coconut, sweet almond, macadamia, apricot, grapeseed, argan, rosehip, camelina and sunflower. No surprise here, it also contains cocoa butter as well as retinol and vitamins C and E, which are known anti-aging ingredients. This product claims to lessen the appearance of fine lines and wrinkles, although I cannot attest to this (hopefully these unwelcome facial 'residents' hold off for a few more years - prevention is key! ), but I have noticed an improvement in terms of my face looking brighter and my dark spots being less visible. The oil comes in a glass bottle with a handy dropper, and 3 drops are enough to cover my entire face and neck area. The product takes about ten minutes to fully absorb, which is why I prefer using it at night or on days when I'm not in a morning rush. Skin Therapy Oil FACE (30ml, C$9.99 at Walmart) has a delicate rose scent, is paraben and phtalate-free, hypoallergenic, non-comedogenic and is also cruelty-free. If you are looking for an affordable facial oil that will provide long-lasting moisture, I think this is a really great option! Now for the fun part, Palmer's Canada wants you to experience this wonderful facial oil, and I have partnered with them to offer 5 lucky readers of mine a full-size bottle (open to Canadian residents only). To enter, all you have to do is fill out the handy box below. The first three entries are mandatory, and once submitted, more entry options will appear. Remember, the more entries you submit, the higher your chances of winning! For full giveaway details, please refer to the Rafflecopter. Good luck! I love Palmer's Cocoa Butter Skin Therapy Oil FACE. It smells so good and makes my skin incredibly soft and I'm almost out and would like very much to win a bottle! Ooh, this sounds like a great oil and the price is super reasonable. I have very dry skin so my skin LOVES any hydration especially from oils. I love the brand's other products so can only imagine that this face oil is on par too. I'm in Asia, so I'm out haha..
Have always liked Palmers so would like to try the oil. Ive never tried a product like this before, and I would love to! I love using oils and serums on my face, but this is the first time I've heard of cocoa butter oil. So, naturally I want to try it!